A large range of Ironmongery products for external doors and gates including Padlock Bars, Hasps and Staples, Cabin Hooks, Latches and Catches. 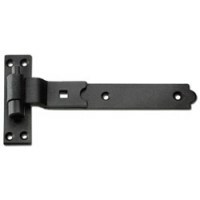 Available in Galvanised Steel, Brass or a Black finish to suit all styles of door. Easy to fit and use ironmongery products can improve gate security and look.